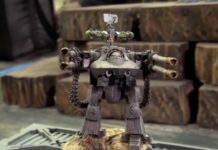 Home Warhammer 40k Roleplaying for Wrath And Glory: Pre-Order Announcement! 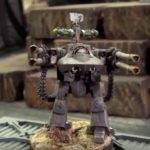 Roleplaying for Wrath And Glory: Pre-Order Announcement! 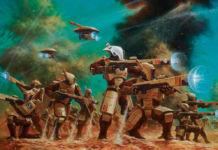 Ulisses North America's All-New RPG plunges players into the 40K universe. Guess what’s next-in-line for pre-order? 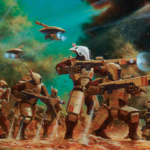 GW just announced that “Wrath and Glory”, the heavily-anticipated RPG adaptation by Ulisses North America will start its pre-sale on Friday, June 1st. 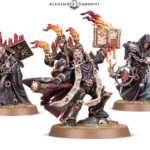 This will mark the first big adventure for Wrath and Glory, and promises players the ability to experience all of the glorious darkness the 40K world has to offer as they craft their own adventures. 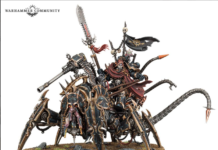 As fans around the world begin to prepare for the pre-sale, it’s important to be aware of all the different products and options that GW is offering. Take a look below to see what loot awaits your conquering of the pre-sale line! 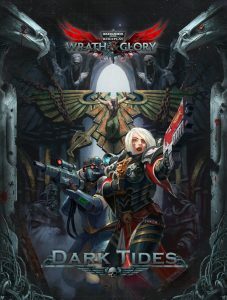 This handbook is packed with over 400 pages of useful information, acting as your complete guide to the world of Wrath and Glory. 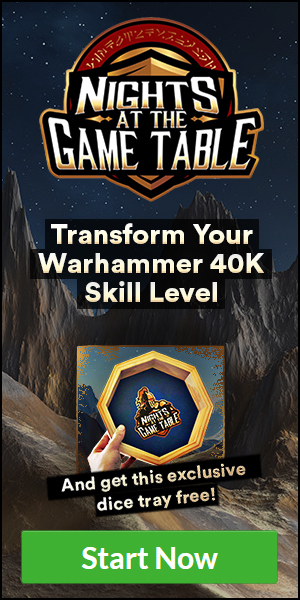 It includes extensive character creation options, weapons tables, setting suggestions, advice for aspiring GMs, and so much more! 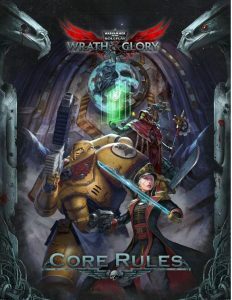 The Wrath & Glory Core Rules are the perfect way to quickly learn the game and dive into your own campaign of bloodlust, carnage, and fun! Perhaps the biggest surprise for this month is the announcement of Dark Tides, a five-adventure campaign that sends you and your friends across the galaxy, clashing with the mysterious villains who have been terrorizing the Imperial Ocean World of Charybdion. It’s up to you and your companions to save the planet (or doom it to oblivion) – the choice is yours, IF you survive! As well as being offered individually, both the Core Book and Dark Tides will also be offered in bundle deals. When you preorder, you will have two bundles to choose from.The player bundle is focused more on players looking to dive right into the game, while the All-In bundle allows for an immense amount of customization and adaptibility that will satisfy even the most creative roleplayers! Check below to see what each bundle includes. Also, keep in mind that additional items will be added leading up to the pre-order, meaning that more and more surprises will be waiting with each passing day! 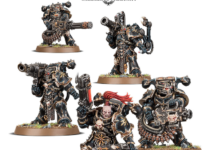 GW is planning to sell out, so be sure to get your pre-order in before time runs out. Adventure awaits! 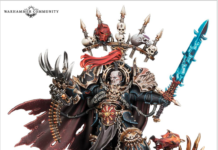 Next articleBegin Your Crusade With The New Imperial Knights Codex!